Hope this is some kind of error!! Checked our usage for yesterday and it is like 1500 kWh and close to 500 kWh for one hour today!! Can that much even be used?? Last reading period was Feb 10 - Mar 9 so assuming meter reading was on Mar 9. 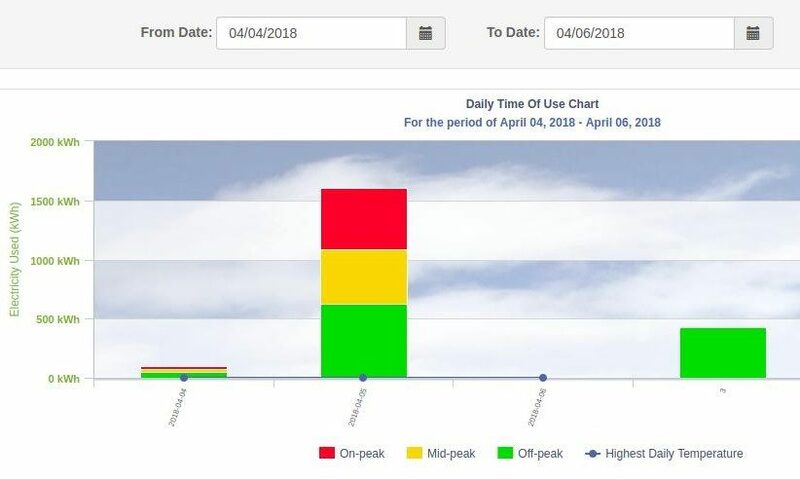 If I take that reading [from last bill] and compare with meter reading today and presumably next meter reading Apr 9 then I get difference of 500 kWh which is about normal monthly usage. Do have 200 amp service so even with that can not use 1500 kWh per day!! Did consider someone using our electricity BUT from just like yesterday?? From meter reading comments above it does seem monthly usage is per norm BUT will be interested in what they reply. They'll try anything these days. I'm sure they get away with it a lot without question. Plus CEO just received a raise so got to pay that somehow. Might be a coincidence, but my usage decreased by that exact same amount on April 5th. lol, must be some system error. 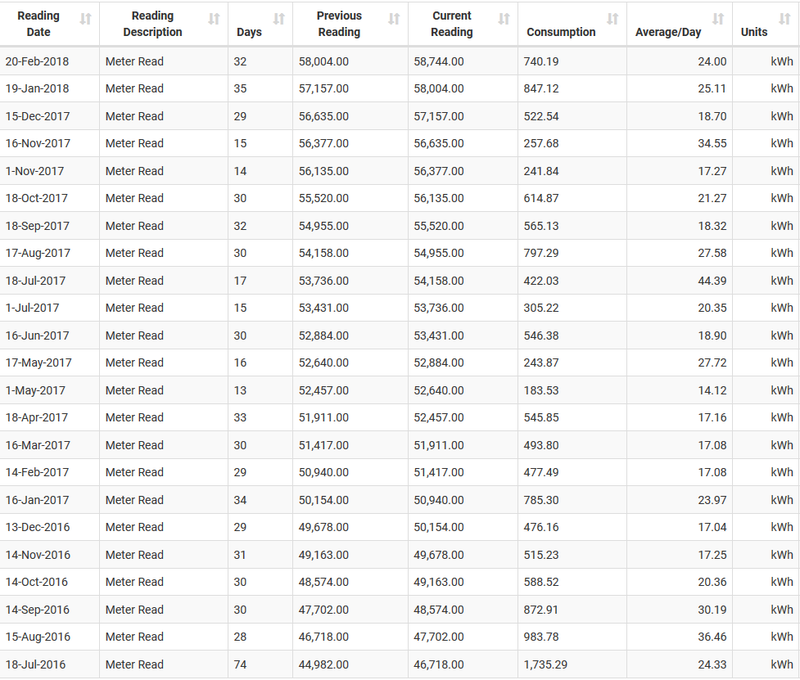 Only time I had a reading over 1500kwh was for the first 74 days after I moved in. I am curious how & where did u get that kWh usage information. I want to get that info for my house too. Go yo your utility website and should have info on registering for online acct. First time noticed anomaly... of course not in customer favour!! Based on meter reading it seems fine but will still check daily until next bill... probably early next week. The voltage you use in your calculation should be 240 so your numbers are out 2x but even so the conclusion is the same. OP, I've seen this before on my account and so has a buddy with a different supplier. In both cases the bill was correct. Don't look at these things too closely or you'll see how crap their system really is. Update: As few mentioned above... it was server error and was told bill will be correct.